The Allen & Heath SQ6 is not just any digital mixer. This is a 48-input, 96kHz desk that is packed with features, has an incredibly small footprint and comes in at an incredible price point! The A&H SQ-6 takes technology from the acclaimed D-Live series and the look and feel of the QU series to bring you a live digital console that excels in many applications including live music, corporate events, theatre productions and houses of worship. 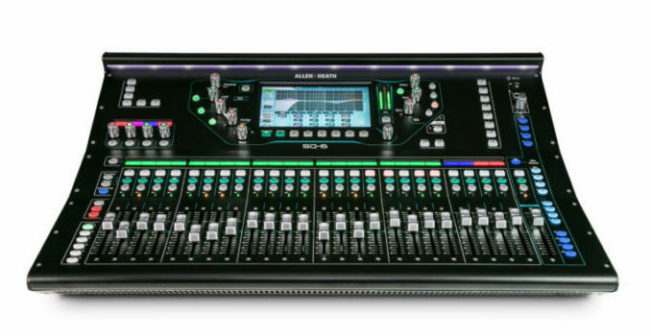 It also makes an ideal monitor mixing desk with its 12 stereo mix buses making working with IEM systems a breeze. This mixing desk really does take things to the next level and puts other manufacturer’s in the shade. This desk is now available for hire or for demo. Contact us now for further information on this amazing product.